Gelatine is derived from the collagen inside animals skins and bones. After the alkaline or acid pretreatment process the gelatin will be transferred with warm water into cooker where the extraction is carried out in a batch or continuous basis. 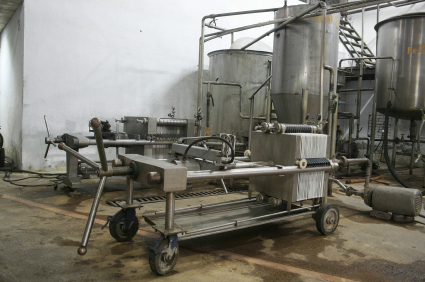 After extraction filtration is used to purify the gelatin before further processing for a high quality end product. Pextine and carageenan are both vegetable based thickeners. Raw material for the carageenan production is sea weed while dried citrus peel or apple pomace are the main raw materials for the production of pectin. After pre treatment and extraction filtration is the next process step to purify the product. Precoat body aid filtration is normally used. Suitable filters for this process step are our pressure leaf filters, pulse filters and filter presses.